I don’t know how many Shiny readers are excited about the forthcoming football world cup – but I’m sure some of you are… and the rest of you probably like weirdly branded mobile phones – so I just thought we’d report on the new Puma phone. Yes, that’s Puma as in the sportswear brand. I suppose it’s not a massive leap from trainers to phones in branding terms, but fortunately the clothing designers are delegating the technical side of mobile-phone making over to Sagem Wireless. The Puma phone will be launched to celebrate 2010’s Football World Cup held in South Africa and reflects the “DNA of the Puma brand” apparently. We’re expecting something a little bit bling footballer-style – gold chains? 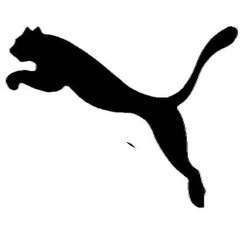 ; something a little bit sport-friendly (it doesn’t break if you accidentally drop-kick it), and ideally, it would be in the shape of the Puma logo. That would be cute. Though the legs would get in the way.